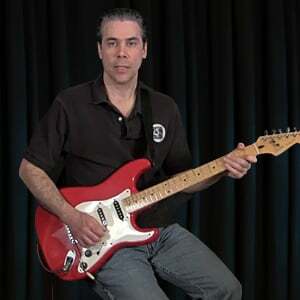 This lesson is an overview of the parts of the electric guitar. These include the body, the neck and fretboard, the bridge which raises the strings and sets the action, the headstock which has tuning pegs to which the strings are attached, etc. A full list is below.